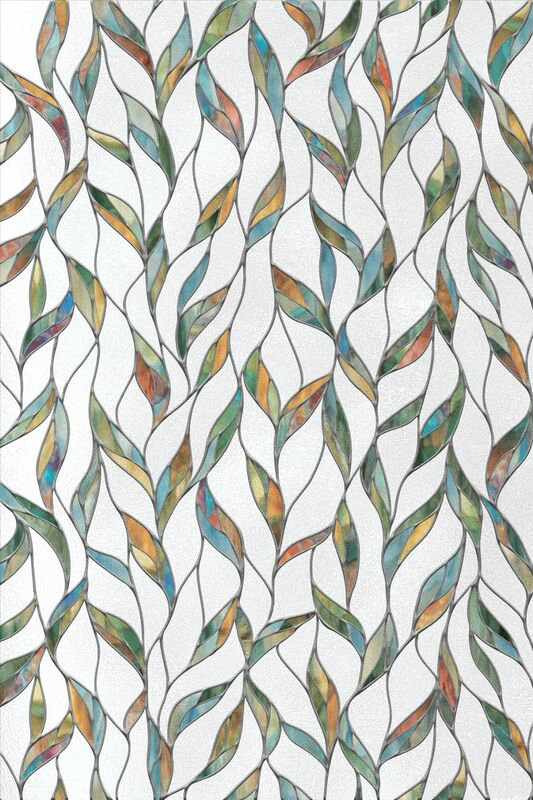 Home ► Stained Glass Privacy Film ► Drift Stained Glass Window Film 24" x 36"
These window films create the look and feel of stained and decorative glass. 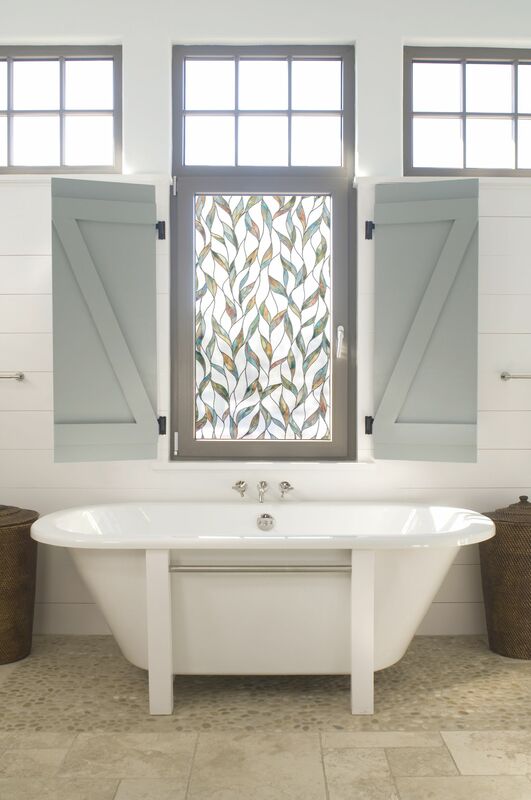 These translucent films have an image that is visible from both sides of the window, providing privacy and style, while allowing natural light to enter the room. An inexpensive alternative to traditional window coverings like blinds or drapes,these films are recommended for use in any room requiring continued privacy as well as specialty windows like arches, sidelights and transoms. Our films apply easily to any smooth glass surface without the use of adhesives and are easily removed if needed. They can be trimmed or combined to fit any size window. The 24" x 36" films have a repeating pattern left to right and top to bottom and can be used either vertically or horizontally. 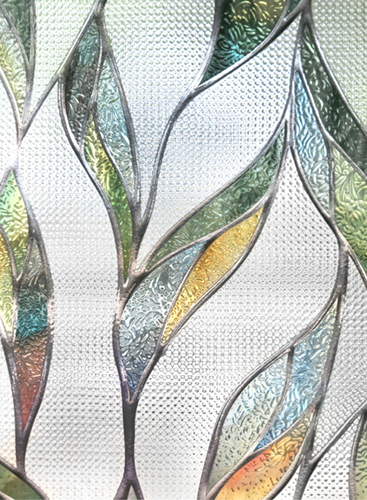 Drift Stained Glass Window Film 24" x 36"